Why does green feel therapeutic and grey, gloomy? Why does red signify anger to some and love to others? Here’s how we perceive different colours, and the way they influence our lives. Why does darkness invoke fear and light brings respite? Why does green feel therapeutic and grey feel gloomy? Our mind constantly sends us signals of happiness and grief. In fact, every individual is subconsciously attracted to certain colours that reflect their state of mind. The realm of finding which colours we gravitate towards is a vast study into how our brains actually work. Master Shiva Shivoham | Jithendra M.
Research is still underway to decipher how human beings respond to specific colours based on their subconscious mind. It’s complicated for sure but not insurmountably so for us to understand. In short, we feel colours and interpret them in various ways. For instance, red could be danger or love. Black could be grief or elegance. It is based on the mental and emotional effects that colours have on us. “Every colour reflects a different wavelength and carries a specific aura depending on the way it bends on an angle it refracts at. The angle at which red bends determines its power and impact,” says Delhi-based Kanika Khosla, colour therapy expert and child psychologist at ePsyclinic.com. The reason why different people are attracted to different colours is entrenched in biology and psychology. Preferences change with experiences, and with that the surrounding energy. In the realm of healing— yoga, meditation and Ayurveda—the energy of colours is absorbed based on the wheels of energy called chakras. The seven wheels are connected to specific colours. Root chakra is red, abdomen is orange, solar plexus is yellow, heart is green, throat is blue, third eye is indigo and crown is violet. “These are connected to different organs of our body and are linked to certain emotions. 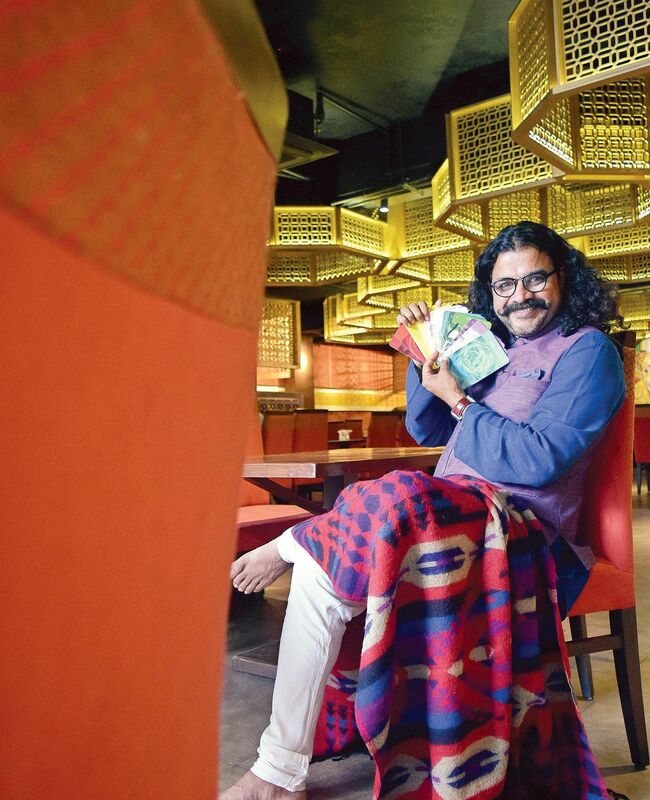 Proper balance of energy in each chakra is important for a healthy body and mind,” says Master Shiva Shivoham, a Bengaluru-based mystic and healer. Scientifically, it’s the medial temporal lobe, inside our brains, that’s responsible for processing memory. Based on our experiences, we store memories in different colours. That’s why some affect our mood better than others. In fact, right after birth, all we see is black, white and grey. Gradually, our brain gets stimulated by our surroundings and it picks up the energy of other colours. Take for instance the field of art, as it has transformative powers. When a viewer looks at a painting, they connect to specific colours, especially those that call out to their senses based on their life experiences. “Each stroke can be understood differently by different people but the central idea is to use colours that are high on the energy scale. 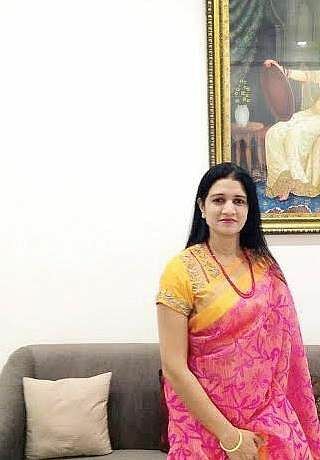 Colours such as orange (joviality), yellow (cheerfulness), green (harmony), red (power), white (serenity) and purple (luxury) are widely used on the canvas,” says Delhi-based tanjore artist Reena Gupta who feels that the more you’re exposed to a particular colour, the more it influences the way you respond. “Our destiny is our own but by adding a little bit of the right colours in our environment, we can make the journey better,” she says. In design and interiors, colours are used as a great marketing tactic. It seems brands such as McDonald’s, Ferrari, Burger King, Jonny Rockets, Subway and others got it staggeringly right. Yellow is considered the happiest colour in the colour spectrum. 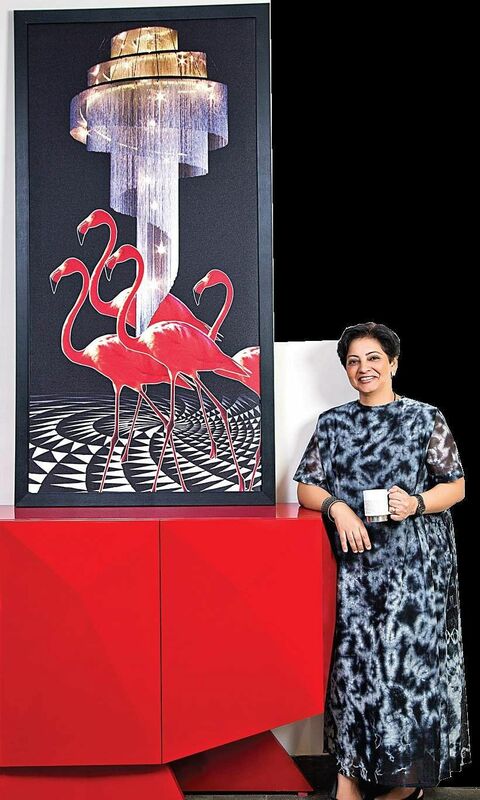 Delhi-based interior designer Punam Kalra of I’M Centre for Applied Arts says, “Colours reverberate with the left side, the side for logic, in our brain. It helps in decision-making, to stay focused and keeps one positive.” Adding small amounts of the right colour in one’s home, she says, can make a lot of difference. Colours have a huge impact and there’s no black or white in this matter.